Draw textured yarns (DTY) are produced using the false twist texturing process in the main combination of POY (partially oriented yarns), such as polyester, polyamide or polypropylene, as feed material. DTY is made of continuous filament yarn that has been processed to apply durable crimp twists, coils and loops along the length of the filaments, which results in yarn of greater bulk, higher elasticity, and fabrics with a more pleasing aesthetic and touch. The SSM GIUDICI TG2-FT false-twist texturing machine is the next step of the well introduced TG1. 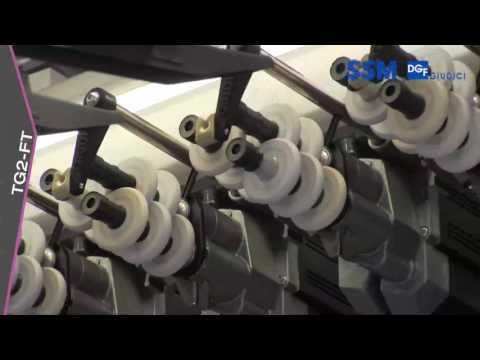 It comes with an individual, frontal doffing system to allow double-sided concept of the machine (one full package and one empty tube in the cradle whilst a package is being processed). The design is made for the cost efficient production of high quality Polyamide (down to 7 dtex), Polypropylene as well as fine count Polyester yarns. Layout / N° of positions min. / max. The manual SSM GIUDICI TG1-FT falsetwist texturing machine combines a proven texturing path along with a spacing saving machine design. The result is a machine for the cost efficient production of high quality Polyamide (down to 7 dtex), Polypropylene as well as fine count Polyester yarns. 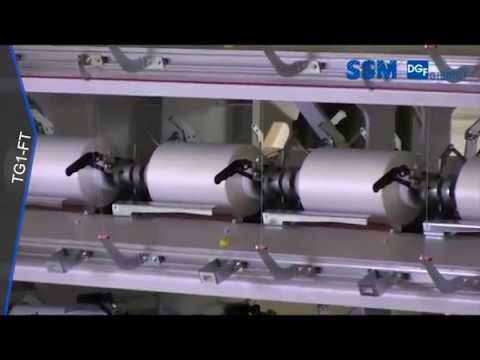 The SSM GIUDICI TG.30 A false-twist texturing machine has been especially developed for the economic production of fine Polyamide and Polypropylene yarns. Compressor with air dryer, oil filter and air tank pressure at pressure 10 bar. 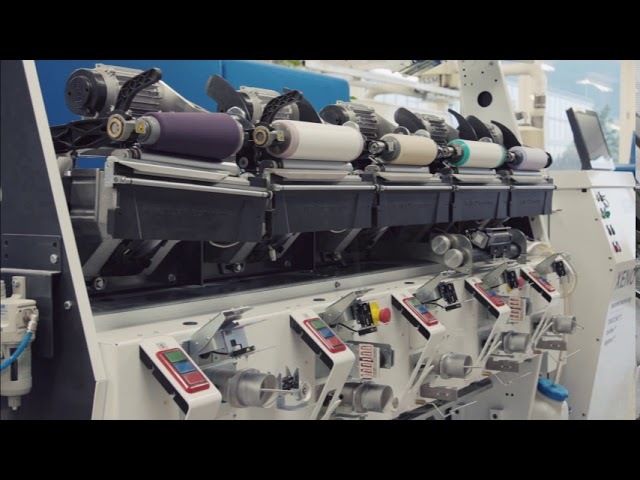 The SSM GIUDICI TG.30 AG/AEG offers a straight, optimized yarn path through the texturing zone along with a heated godet enabling the production of heat set PES yarns. The SSM GIUDICI TG.30 AE/AEM is especially designed for false twist texturing of fine and medium count PA and PP continuous filament yarns. In combination with the integrated elastomer unrolling device air covered yarns can be directly produced in one process step.